I am still a little confused with how they came up with this and it seems a little sketchy if you ask me. Here is the article and let me know what you guys think. I will be revising this post when I do more research on Isaac Newtons calcuations for end times. In 2003, the Daily Telegraph in London published a front-page story declaring that, according to Isaac Newton, the world would end in 2060. This was the first time that this calculation of Newton became widely known. However, various biographers and researcher of Newton’s theology had encountered it since 1991 when most of his manuscripts were released on microfilm at the Jewish National and University Library in Jerusalem. This I mention not to assert when the time of the end shall be, but to put a stop to the rash conjectures of fanciful men who are frequently predicting the time of the end, & by doing so bring the sacred prophesies into discredit as often as their predictions fail. Christ comes as a thief in the night, & it is not for us to know the times & seasons which God hath put into his own breastNewton arrived at the year 2060 in a straightforward manner. He believed that the last world empire at the coming of the Antichrist would be a revived Roman Empire, a concept wholly embraced by eschatologists in modern times as well. He also believed that this had actually occurred in A.D. 800 through the coronation of Charlemagne by Pope Leo III as ruler of the revived Roman Empire in the West. As described by the prophet Daniel, and John in Revelation, the revived Roman Empire will rule for one “week,” a period of seven times 360 days, or 2,520 days total. In the midst of this week, at 1,260 days, the Antichrist will desecrate the future temple in Jerusalem. Following the day/year guideline, Newton assigned 1,260 years of the Revived Roman empire before Antichrist’s desecration of the temple. This he did realizing that the rebuilding of the temple and the judgments of Revelation did not follow the rebirth of the Roman Empire in A.D. 800. None of the prophecies of the End of Days followed the coronation of Charlemagne as Emperor of the revived Roman Empire after 1,260, nor for that matter, any of the years up until Newton’s day. Therefore, he established each day with a year from A.D. 800, arriving at the year A.D. 2060. In a manuscript number 7.3g, f. 13v. of the Yahuda collection, Newton was even more specific about the 2060 date. So then the time times & half a time are 42 months or 1260 days or three years & an half, reckoning twelve months to a year & 30 days to a month as was done in the Calendar of the primitive year. And the days of short lived Beasts being put for the years of lived [sic for “long lived”] kingdoms, the period of 1260 days, if dated from the complete conquest of the three kings A.C. 800, will end A.C. 2060.But Newton’s prediction of Charlemagne’s revived Roman Empire starting in A.D. 800 and existing until the return of Christ was contradicted in 1806 when Napoleon forced the Empire’s dissolution. Flynn explains: “The Romans had fixed the birth of the city of Rome and the Empire in 753 B.C. It was believed that the patriarch of the city, Romulus, had marked out the boundaries for the wall of Rome in this year. Known as Ab Urbe Condita (literally, from the founding of the city) the Roman calendar began with 753 B.C. according to the dating of Marcus Terentius Varro (116–27 B.C.) who lived at the time of the Empire itself. Because of how the prophet Daniel divided the prophetic week in half, Flynn believes the original founding date for the empire of the prophecy, Rome, would follow this pattern and be bisected. 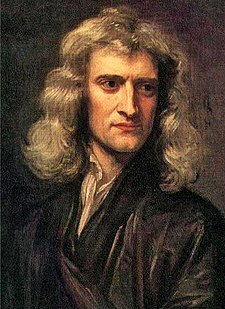 Therefore, correcting Newton’s date, the year 753 B.C. designates the founding of the physical Rome while A.D. 753 establishes the rebirth of spiritual Rome. Counting 1,260 years forward from A.D. 753, one arrives at the year 2013. Additional significance can be attached to this finding when considering that 2013 follows the end of the great cycle of the Maya calendar and the planetary cycle of the Aztec calendar, which concludes Dec. 21, 2012. This date has raised apocalyptic fears in corners around the world. According to “The Bible Code,” the world will end on this date due to a collision with a meteor, asteroid, or comet. Another theory – the “Novelty Theory” – claims time itself is a “fractal wave,” which will end abruptly in 2012. Even the popular television program X-Files speculated that colonization of the earth by “aliens” would occur in December 2012. The Maya themselves describe past visits of Quetzalcoatl, the Feathered Serpent, descending through a “hole in the sky” on a rope ladder. They believe at the end of 2012 the serpent rope will emerge again from the center of the Milky Way, and Quetzalcoatl will return, heralding a new era at the start of 2013. Another version of the story has Quetzalcoatl sailing down on a winged ship, causing some to speculate that a UFO armada or “mother ship” could descend and take up position over earth on that date. Besides this type of speculation, an unusual number of important events will occur beginning in 2012. NASA is predicting the next Solar Maximum will arrive in 2012 and will be the strongest in 50 years. At the same time, the sun will align with the center of the Milky Way for the first time in 26,000 years, on the exact date of the end of the Mayan calendar, Dec. 21, 2012. This will also be the year when the United States and the United Nations elect a new president and a new secretary general, considered by some to be the two most powerful “thrones” on earth, and the seat from which prophecy experts say the Antichrist will rule or receive power. On a YouTube video here, well-known preacher Jack Van Impe says that the year 2012 and the end of the Mayan Calendar could mark the return of Jesus Christ. This is fascinating stuff but I’m afraid my feeble mind can’t absorb it all. But at the end of the age I hope my Saviour finds me white as snow and worthy to join him. I am sorry for my safety, I do not have so much time to play in English, Chinese writing the article far faster than the English, written Chinese characters dragged into a google translation to English made up of; invite you to the future You see it’s Jesus! Your life and death has nothing to do with me! I am just a book describing the figures, the Jewish Messiah, the true Messiah, I just want to protect the Jews! This should be my last time in the voice of Radio Free Asia, the following information than the “Dead Sea Scrolls,” found that the more important, I have no doubt that the existence of a harbinger, allow me to get well prepared for the rapidly after the finish. My birth to death as early as 500 years ago was full of prophecy, I do not think I have the ability to say here’s a lie. Prophet predicted that the major Israeli history has occurred, they have all been in me all come true, I really Really Is that all Jews have been waiting for the Messiah, Jesus the son of evil aliens to take my name came to the use of high technology to deceive all the people, so that the Jewish nation cast a unredressed injustice, which as early as before Christ Written on “after the Bible Code” in the. I have never been a Christian, I do not believe in Jesus has always been, I am not a Muslim, I never Jiubu Xin Mohammed. I was discriminated against Jews because they A Offended God, God abandoned the law in the near future to become the king of the Jews and I certainly will be in accordance with God’s will you come back to correct. I like the psychological and moral England with a person exactly the same, but it is in the soul On the cause of this is entirely in religious beliefs other than. Jesus, Muhammad two big liar distorts the image of God and humanity and the contract, God is never to use intermediaries, God is there is no body of Since the ultra – However, with the power of a miracle. Likely in the near future I am going to be a prophet, a great scholar and the king. I really was, “Old Testament” and “all of the century” and “John Apocalypse” and “after the Bible Code” The prediction , Also a prophet to predict that the future since ancient times, no one’s reputation can be compared with me. Israel’s many prophets have long predicted that the metaphorical to my life, the people of Israel, and so I had more than 3000 years, from the I In the end who up to now, four in this book to be able to predict, for my safety, I can only tell you all come true in me, and I was “all century,” predicted that into the grave to another person , As a result of It must be said that my life is totally your year. Prophets of Israel is usually around things metaphorical familiar with the way God communicated to us in the “Old Testament” by the book to see what All Is metaphorical. “Dead Sea Scrolls,” predicted that the Messiah is a very strong power of the Messiah, the facts have proven that Jesus is only so-called alien made out of a God, is the so-called non-alien According to Jia Sisuo According to the literal interpretation created a big liar, by the so- called Virgin born and the bar is a serious departure from the hands and feet, “the Dead Sea Scrolls”, the so-called Christ’s true, “the Dead Sea Scrolls,” and predicted that actually metaphor to point to me I will explain to you to listen to; in the “Dead Sea Scrolls,” predicted that will lead to all of the Jewish king was referring to me, “Ma predicted to spend” is the so-called alien masterpiece, “John Revelation Recorded ” Author and we will never know his true identity, but he must not believe Jesus was a Jewish prophet, he is not written in Jesus before. In addition to the “John Apocalypse”, “New” is not credible It Repeat of the “Dead Sea Scrolls,” a lot of content, should be “John Apocalypse” and “all of the century” and “Where Paul Huang predicted that the first” into the “Dead Sea Scrolls,” will be composed of books that they can Known as the “saint After. “Maya from the books, I think the so-called ancient alien is subject to the punishment of God, fled to the vicinity of the Earth, large-scale can not breed, can not re-adapt to the environments of the Earth’s ancient humans, they must be separated for some To be back at the time of the earth to supply requirements, the Earth is the only supplies they needed, the extinction of species on Earth, they can not survive; it is not so-called human-made is. Darwin once said , Found that as long as there is a kind of biological evolution in the body can not get the small parts, then his theory of evolution completely bankrupt, modern science has proven that the theory of evolution is wrong. Indeed, human beings by God Created by God has no physical strength and the supernatural miracle, because God promised in the universe formed a protein component, to land on Earth, to have had a wonderful variety of biological machine, and then a miracle Have had a variety of species like the DNA, culminating in a variety of species; As this is miraculous, I can assure you that life on Earth in the universe is indeed unique. Reference from the Falun Gong cult “Toru save the world poem”. “Zhu century” in a poem: “After 500 years of attention to the people of the world, his presence is an honor that era, the great moment of inspiration in the emergence of the century with the people who have been great over Enough. “, As in I do not know completely in any predictions that I said to you in the end who, while a few months later I found that as early as in a long time ago and I have long predicted would be his own regeneration, and my life as early as On the whole in mind I have set out in the definition of the “Bible”. Appearance from the point of view, I would definitely not a personal copy, I met the teachings of Judaism, I was absolutely out at the so-called alien unexpected. I advocate “Fate By day, into the subject, “predicted the existence of what I did not constitute any impact. I just did not say what, in a long time ago I spent more than 50 years, to break the” Old Testament “and all the prophets Predicted, I lost To the memory of the past, now I really do not know what I写了些什么, I finally know that I was his, which took place from me as a miracle, a miracle and this has long been hidden in the writing My Under the definition of the “Bible”, I will explain to you listen to, no one is better qualified than I see before me in the end写了些什么, I think, in fact did not dare open a large number of these books, The Vatican Gang Holy See’s religious leaders have long known but Jesus was a liar and who I am. There is no doubt that faith in God is my whole life, in accordance with the “Old Testament” as provided for in the book of God, the Jews must paste I legislation for the king of the Jews, I have to be in accordance with God to the people of Israel to come back to correct; I am really looking forward to is that the Jews have been the Messiah, I must abide by God’s strong Israel, all Mu Gosling is not a place to stay out of Palestine, to lead you to the upcoming terrorist deal with a major disaster. It still does not understand the difference between fighting Israel and pouring concrete ay 50C. It is a bit worse than Arabic. In Arabic it translated “wst jw AlmErkp” as “central air battle”. Correct was “the climatic enviromental battle” in other words one factor being the rapid setting of concrete at 50C. In Arabic I have an independent reference in Buckwalter’s dictionary (I use his transliteration system). It will appear a time of the year for hecatomb. When those can enter will leave the tomb. Born of obscure and dark family. The new sage with a lone brain sees it. In Europe, he will appear in Asia. He who for this century will take them back very satisfied. It will cause its realm to hold to peace and union. “Hotline listeners,” presided over by Wei together. Broadcast time: 0:00 Beijing Time every Tuesday to the point, two points to three points, 4:00 to 5:00. Every Wednesday through Saturday, 0:30 assigned 1:30, 4:00 to 5:00. Every Monday to Friday 12:00 to 13:00. Toll-free hotline 10810-888 275 7655, please ask to fight under the hosts, he can prove that! I hasten to the next, or else I will have life-threatening!